Made famous in the books of Graham Greene and immortalised in the literature of Agatha Christie, the legendary Orient Express remains nonetheless very real. The train originally introduced to Paris’ Gare de l’Est in 1883 linked the west to the east, carrying passengers in style to the exotic orient. The popularisation of air travel saw the train almost disappear altogether. However, its overwhelming popularity, a product of romance and mystery for long-distance train travel, ensured a renaissance in 1982. A luxury of old became a luxury anew. Now under the name of the Venice Simplon-Orient-Express (VSOE), a series of privately run and beautifully restored early twentieth century trains run between London, Paris, Venice, Istanbul and other destinations across Europe from March to November. 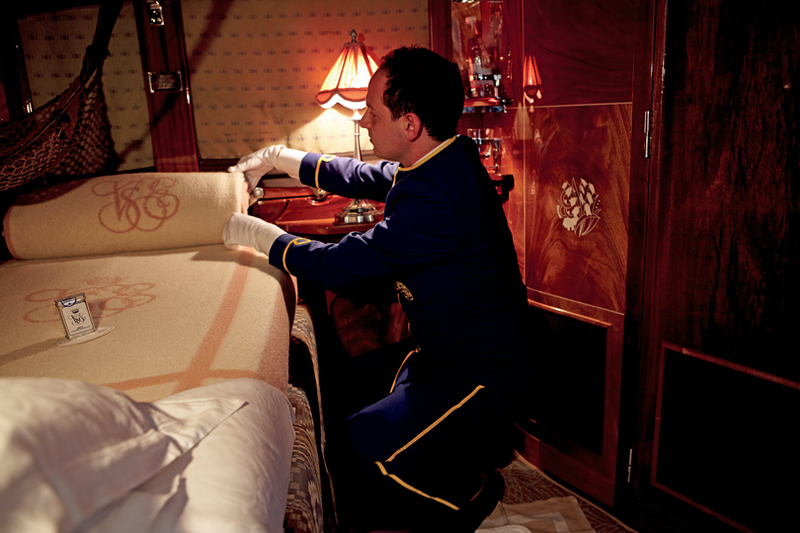 Travellers can expect 5-star luxury from an era past, starting with a British Pullman train from London Victoria to Folkestone and continuing across the channel in a classic 1920’s sleeper train. The British Pullman takes its passengers through the rolling emerald hills of Kent, accompanied with gourmet bellinis en route to the English Channel. 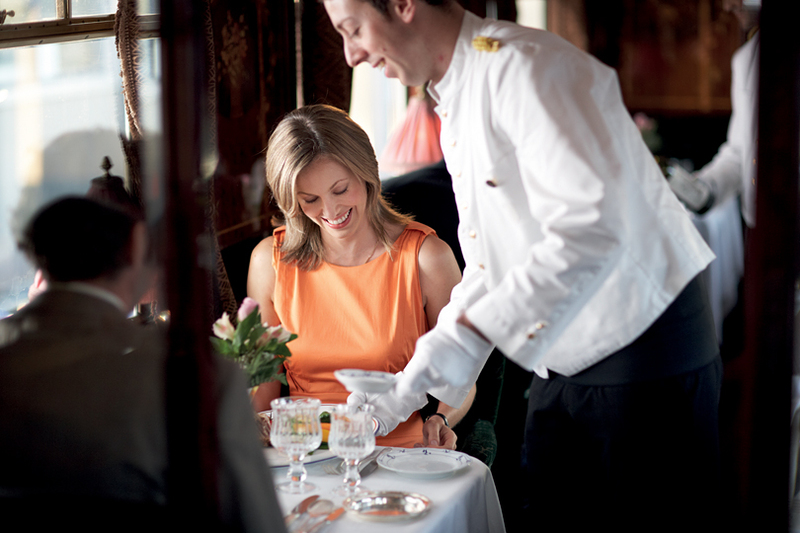 Once in France uniformed attendants line the platform waiting to welcome you aboard the antique continental train. Setting off across the embattled plains of northern France, the train eventually arrives in the French capital. 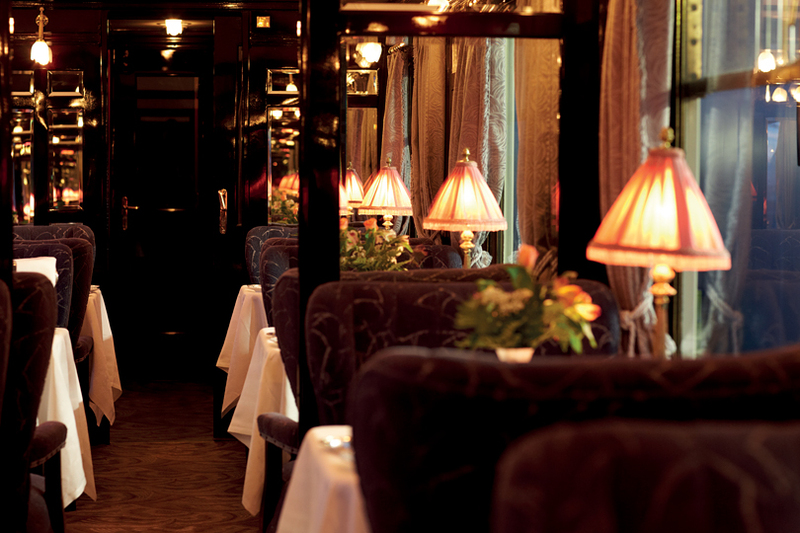 There a fine four-course dinner is served in the midst of the train’s wood-panelled and lalique glass dining cars. Leaving Paris, the soft melodies of the piano bar lull passengers to sleep as they head through the quiet villages of eastern France, before waking to brunch beside the lakes of Zürich. The winter-white peaks of Lichtenstein thereafter act as a fitting prelude to the majestic Austrian Alps. A brief stop in the medieval city of Innsbruck is an ideal chance to relax before the train changes course for the warm South. As the train transports you from central Europe to the Mediterranean along the Adige River, Verona lies ahead. The famous city of romance and scene of Shakespeare’s Romeo and Juliet is an altogether different experience to the northern cities. Such is the wonder of the Orient Express. Barely is there time to appreciate it, however, before the antique train whisks you away along the Brenner Pass to the legendary city of Venice, which is the route’s terminus. This is just one example of the many different VSOE journeys across the stunning countryside and cityscapes of Europe. Experience a luxury journey into the past, present and future of the continent and all its many riches on the Orient Express. Brought to you in association with TravelSim, a provider of instant mobile data roaming for travellers, the perfect roaming solution while crossing international borders on a luxury train journey across Europe. One hundred years ago, Paris and Istanbul were finally linked by rail. Travel blogger, Suzanne Courtney, shares her experience of a ride on the British Pullman.